See also original Reseller Basic plan location on their website! • Database support - MySQL and PhpMyAdmin. Free Migration Assistance! Want to move away from your current host? No problem! we will migrate cPanel accounts free of charge. This includes databases, cPanel settings, forwarders, e-mail accounts, any e-mails on the server, scripts etc. 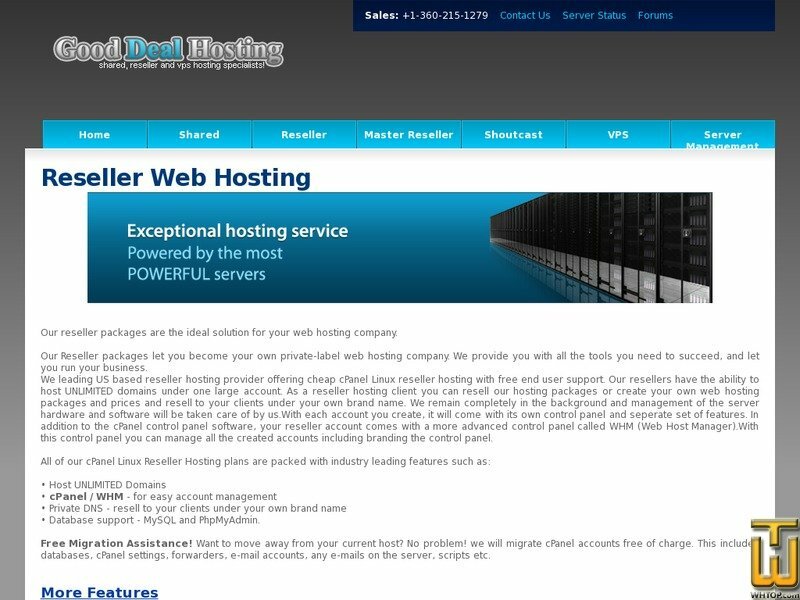 Start your own web hosting business.